Add an piece to your jewelry collection that signifies sophistication and purity. 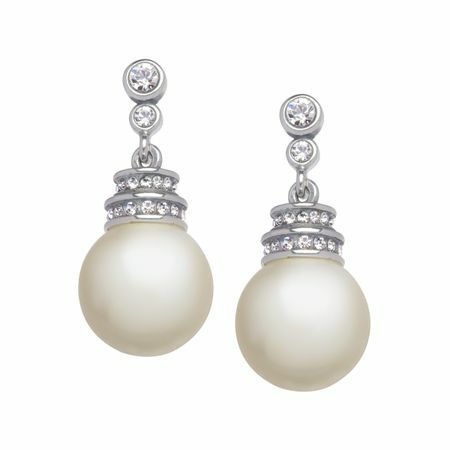 These Van Kempen drop earrings feature 10-11 mm simulated shell pearls suspending from beautiful sterling silver set with shimmering Swarovski crystals. Pieces measure 1 by 1/2 inches.